Here’s Why I Still Love It. When I was a graduate student, I caught the entrepreneurial bug. I joined forces with a couple of talented classmates, and with one of LinkedIn’s co-founders, to build a social networking startup on top of LinkedIn. 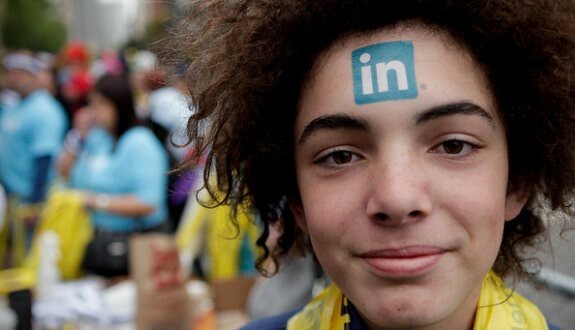 We embarked on the journey after LinkedIn released its API in late 2009. Unfortunately, we failed miserably (12 months later). “Platform” risk is lethal indeed. Okay, I kid … It was an amazing experience with a lot of lessons learned: 1) Building companies from scratch is hard. 2) Building with other super ambitious people is even harder. 3) I also learned how to use and love LinkedIn. LinkedIn is optimal for fielding a ton of interesting job opportunities, if you are a passive candidate. I got into VC because a close friend from Stanford received an InMail from my future boss re: VC job opportunities. My friend was moving back to Europe, hence he encouraged me to apply instead. Are you interested in joining the VC world? Then, connect with all the VCs you know on LinkedIn and make sure your LinkedIn is always up-to-date. In addition, I use LinkedIn a lot when I scout for new investment opportunities; just type “founder” in the search box and you will see a list of prospects. LinkedIn also saves a ton of time when I want to get hold of founders I want to meet. Evan Spiegel from Snapchat was a senior at Stanford, when he was kind enough to accept my InMail and offered to meet. My employer, General Catalyst Partners invested in Evan’s company a few months later. Brooks Buffington from Yik Yak also accepted my InMail and sent me an email to connect. A few weeks later I invested in the company’s seed round. After we/I invest, LinkedIn continues to make us look good in front of our founders; as I can easily mine my network for talent and business development opportunities on their behalf. The founder/CEO of Raise.com cold-emailed me on LinkedIn as he wanted to discuss about his business when they were getting started. I feel super fortunate to have met George Bousis early on in his journey of building Raise.com to a multi-billion dollar company. Ever since, I always read all the cold-emails I receive. Do you want amazing people to reach out to you on LinkedIn? Then consider sharing your thoughts/ideas with your network frequently or be active in LinkedIn groups. 4. 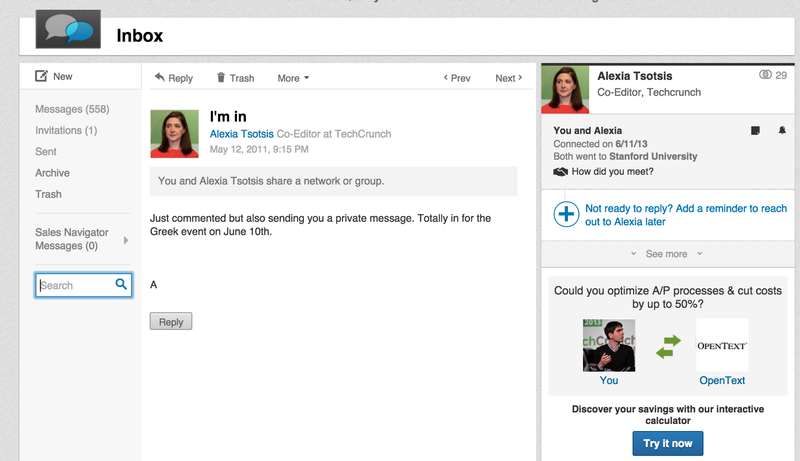 LinkedIn makes it easy to run a community/group efficiently. CRV Partner George Zachary and I launched SV Greeks & Greek Americans together. We wanted to help all the Greek geeks network and build bridges to Greece. The homepage of our 1500+ member strong community (and most Greeks in tech) is our LinkedIn group. 5. Vanity has no limits. This is the case not only on Instagram, but on LinkedIn as well. With the sophisticated analytics tools, you can track your LinkedIn vanity metrics very closely. Sometimes too closely; more often than checking your email. Outside work, LinkedIn will always have a special place in my heart. In 2011, my future significant other sent me a message informing me she would attend an event I was co-hosting. Perhaps, LinkedIn should consider getting into the online dating space, if it ever runs out of steam as a professional networking community?